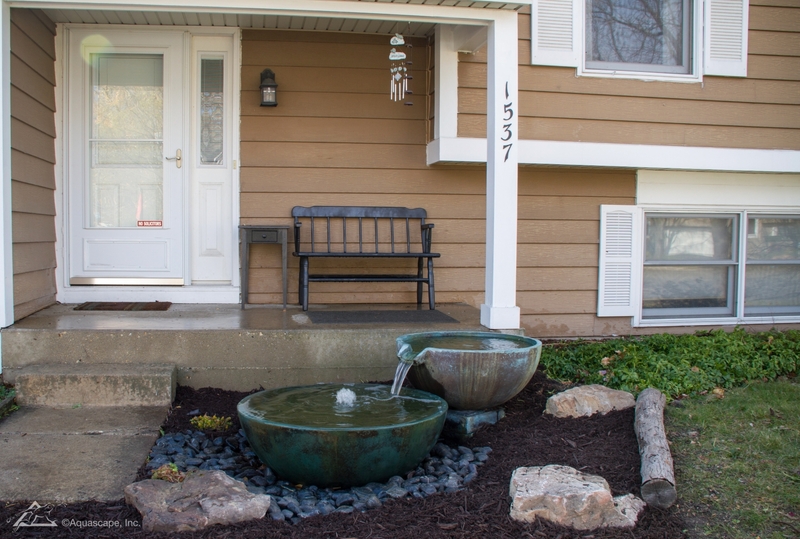 Aquascape spillway bowls and basins can be used in a variety of ways to spice up your front or back yard. Notice the spillway waterfall that provides a relaxing atmosphere to any person nearby! 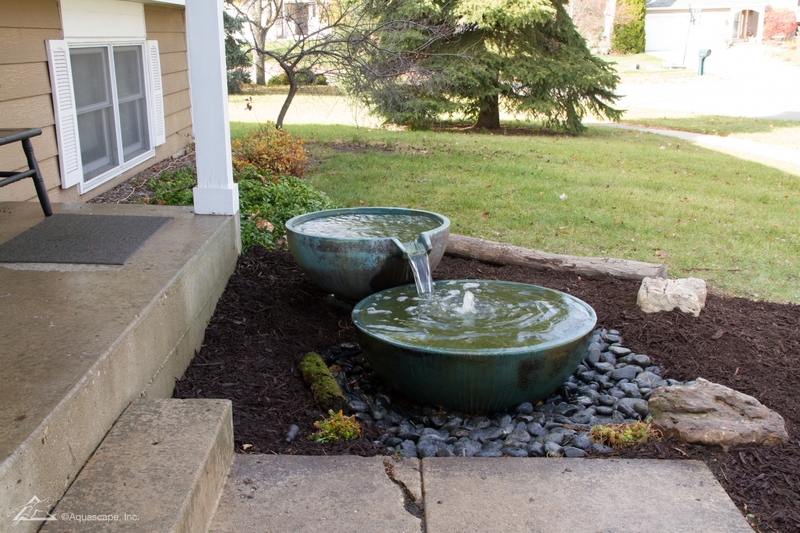 These spillway bowls are not only relaxing and peaceful, but also beautiful. Notice the water fountain in the center of this spillway bowl. These beautiful pieces of art have been traced back in history to Rome, and the main reason they have been around so long is because of how they affect those around it. Entrancing yourself with these water basins will become a daily occurrence as you grow accustomed to the nature being brought into your yard! Flowers and vegetation can be added surrounding the patio water feature! Notice the stunning variety of colors. These spillway bowls are reliable and last for many years. 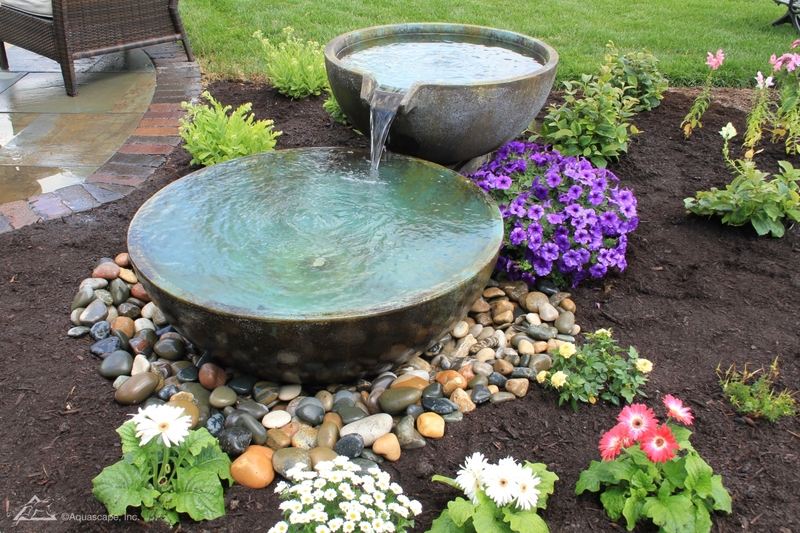 When considering which spillway bowl to place into your yard, also take into account pebbles and rocks surrounding the water feature. Fortunately decorative pebbles can be purchased in our store to help liven up the environment! Simply choose the spillway pebbles that would best compliment your water feature design. Spillway bowls typically come with lighting, but be sure they are on a timer so they come on at just the right time! Whether you have a large basin, small basin, or several basins, just one light per spillway bowl will be sufficient. Notice the smaller water feature spillway bowl on the left. It certainly compliments the entire water garden! 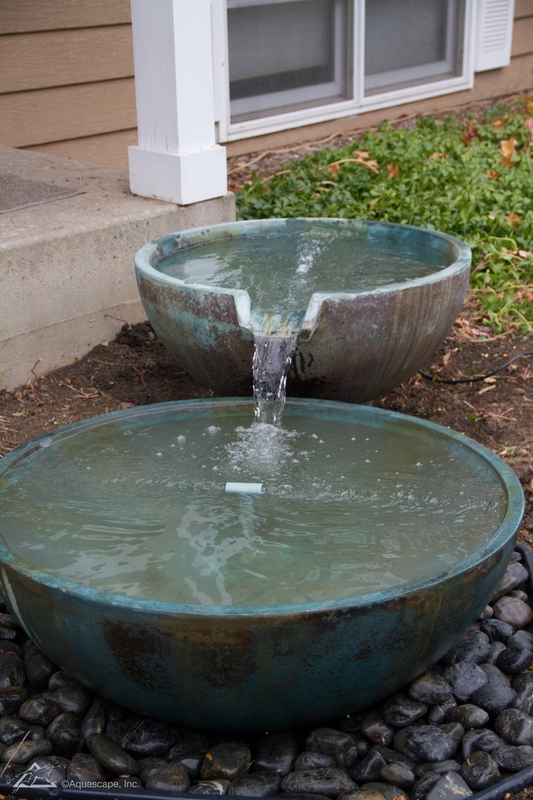 We carry a wide variety of spillway bowl sizes to accommodate any design you have in mind. These products ship freight, so you will want to give us a call to place your order. Look through some of our products and see which ones would be the best option for your yard. Our designers are just a call away to help you design something just perfect that you’ll be able to enjoy time and time again. First off, we have our spillway bowl fountain kit. This kit is DIY and provides instructions along with all necessary parts to get you started! 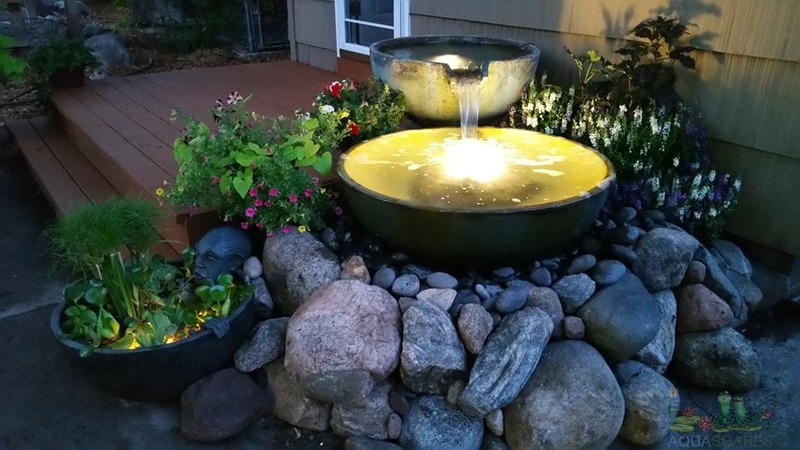 If you plan on piecing together your own water feature, we provide spillway bowl stands, our aquascape 32″ spillway bowl, and our favorite, the 40″ spillway basin. 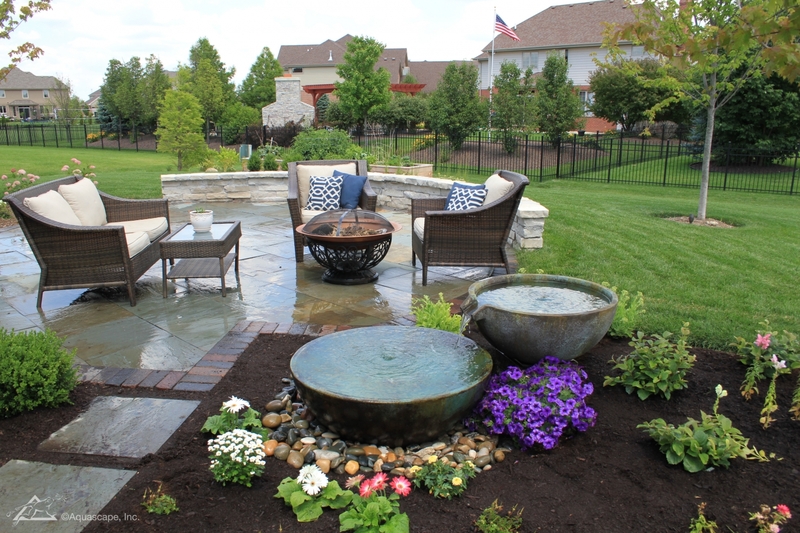 Remember to add flowers and vegetation, rocks and pebbles, and last but not least, a bench to sit on so your guests can enjoy your water feature with you!